“Mourning golden morning“; The latest full length album of EF will be repressed by our German affiliates Kapitän Platte. Once again on a 2xLP but this time with a full color cover artwork in the same style as the CD version. 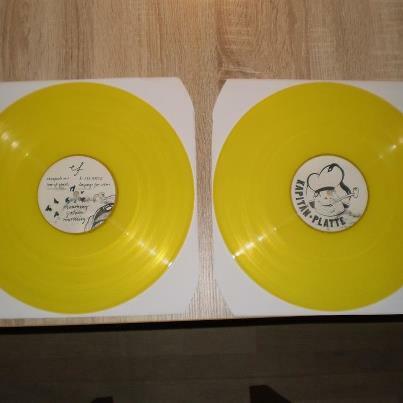 The vinyl itself with be on a clear yellow one. The second press is limited to 500 copies – all hand numbered and comes with download codes including the song “Au revoir dear traitor” which is previously released on the Japanese CD version. All Rights Reserved. © 2018 And The Sound Records.